Bruce D. Thatcher is founder of History Speaks Today, a project dedicated to sharing elemental truths learned from accomplishments and failures of those in our past, to help us avoid making the same mistakes again and again. He is also author of that project’s first three books – Adamant Aggressors: How to Recognize and Deal with Them and Immigration: How to Avoid its Perils and Make it Work and Rise and Decline: Where We Are and What We Can Do About It. Thatcher has had a passion for history throughout his varied career. Check out Bruce Thatcher's bio. In each business he conducted, he gathered facts and insights on how past problems and issues had been addressed. He truly believes that much can be learned and applied from successes and failures of our past. On his web site and in his talks he clarifies what we should learn and adopt from the handling and mishandling of issues within national security, national solidarity, national continuity, social progress, immigration and other crucial areas of stumbling by nations' leaders. Early on he recognized a reality confronting many of the world's government leaders, a reality that affects their national securities … even existentially! That reality is ‘adamant aggressors’ exist, and some of them are in positions of significant power. Adamant Aggressors: How to Recognize and Deal with Them , released in 2011, is a collection of historical cases that demonstrate unassailable do’s and don’ts for dealing with today’s international threats. In 2018, these five cases were distilled into separate e-book digests for busy readers. While researching that first book, Thatcher came across cases of mishandled immigration that led to disastrous consequences. Because immigration impacts practically every government and business in the world today – their economy, their social systems, their national security, etc., it became a natural subject for the second HST book, Immigration: How to Avoid its Perils and Make it Work , released in 2012. The third HST book was published in 2017. Rise and Decline: Where We Are and What We Can Do About It examines the history of four expired nations to validate the premise that rejection of the basic values on which a nation is founded leads inexorably to decline and extinction. Rise and Decline then applies those lessons to two existing nations that are in decline – the United Kingdom and the United States of America. Thatcher grew up in the mid-west, and graduated from Iowa State College and the University of Chicago. He worked in marketing and management with General Electric and The Vendo Company, then founded and led a telecommunications consulting firm, TelCon Associates, for 30 years until his retirement. While living in the Chicago area, he became involved in politics and was elected to a local high school Board of Education, serving a term as its President. 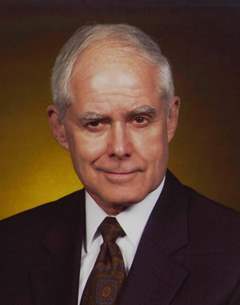 Later, he served on the national Board of Directors of Literacy Volunteers of America and taught classes at Avila University, William Jewel College and the University of Missouri at Kansas City. Now retired from business, Thatcher and his wife, Carol, live near New Braunfels, Texas. Bruce Thatcher is available for interviews about the HST Books and their subjects, about Americans’ understanding of history, and about the teaching of history in our schools. Media members and journalists may contact Bruce Thatcher directly for interview requests.